WWE held a semi dual-brand house show in Hartford, Connecticut last night, with Ronda Rousey & Nia Jax vs. Alexa Bliss & Mickie James and Braun Strowman vs. Dolph Ziggler joining the SmackDown matches. 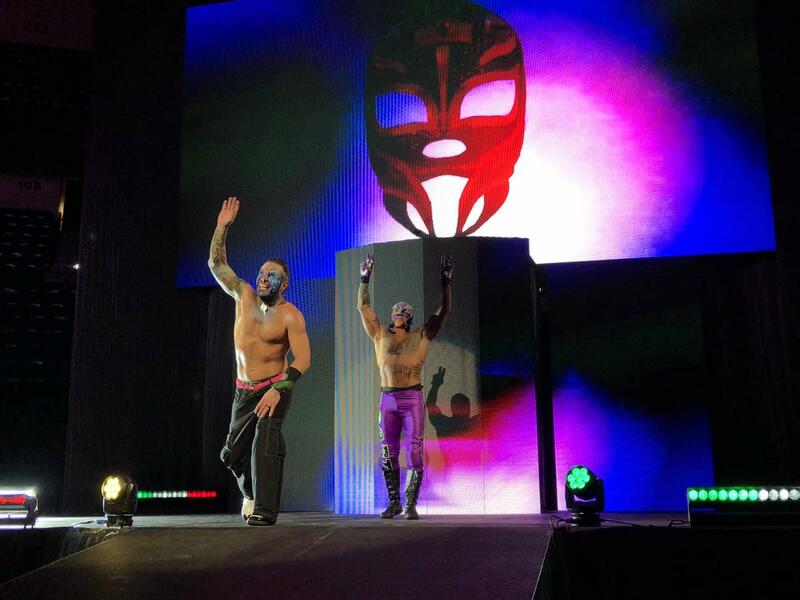 This was Mysterio's first house show match since returning to WWE. Hardy took Orton out with the Twist of Fate. Mysterio hit Almas with the 619, Hardy gave Almas the Twist of Fate, and Mysterio hit a frog splash off the top rope for the win. Asuka got the submission with the Asuka Lock. Ziggler cut a promo on Strowman where he said he'd say everything to Strowman's face if he were there, which led to Strowman coming out. He won with the running powerslam. After Big E helped launch Kingston for a dive to Cesaro on the outside, Sheamus rolled up Big E to retain. Lynch got the pin after getting her knees up when Charlotte was going for a moonsault. Rousey submitted Bliss with an armbar. Leading into the finish, James broke up a pin and Jax took her out with a Samoan drop. Styles retained by hitting Nakamura with the Styles Clash.